The UN Intergovernmental Panel on Climate Change (IPCC) report is on my mind this week, so we’re highlighting books about climate change. 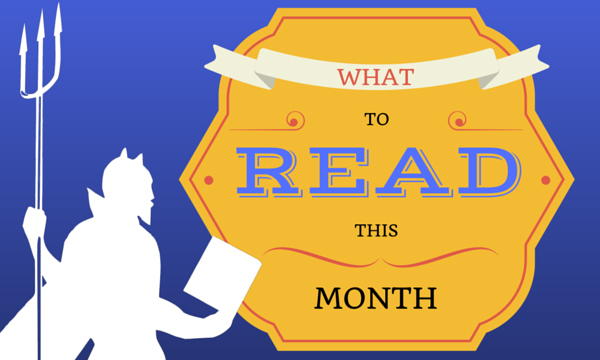 Check out our New and Noteworthy and Current Literature collections for more titles! 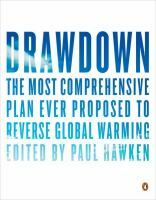 Drawdown: The Most Comprehensive Plan Ever Proposed to Reverse Global Warming edited by Paul Hawken. A team of over 200 scholars, scientists, policymakers, business leaders and activists share the hundred most substantive solutions to combat climate change that together will not only slow down the growth of carbon emissions, but reverse them altogether. Put into action together, these solutions will mobilize society into taking the climate change conversation from problem definition to problem solving, from fear and apathy to collaboration and regeneration. You can find out more about Project Drawdown at their website. Also, see this interview. We’re Doomed. Now What? : Essays on War and Climate Change by Roy Scranton. The time we’ve been thrown into is one of alarming and bewildering change – the breakup of the post-1945 global order, a multispecies mass extinction, and the beginning of the end of civilisation as we know it. Not one of us is innocent, not one of us is safe. This book addresses the crisis that is our time through a series of brilliant, moving, and original essays on climate change, war, literature, and loss, from one of the most provocative and iconoclastic minds of his generation. You can watch a forum with the author here. South Pole Station: A Novel by Ashley Shelby. South Pole Station is a place with an average temperature of -54°F and no sunlight for six months a year. Unmoored by a recent family tragedy, Cooper Gosling is adrift at thirty and–despite her early promise as a painter–on the verge of sinking her career. So she accepts her place in the National Science Foundation’s Artists & Writers Program and flees to Antarctica–where she encounters a group of misfits motivated by desires as ambiguous as her own. The novel also centers on clashes between scientists and conservative politicians who rely on campaign contributions from oil companies over the causes of climate change. You can see reviews here and here. 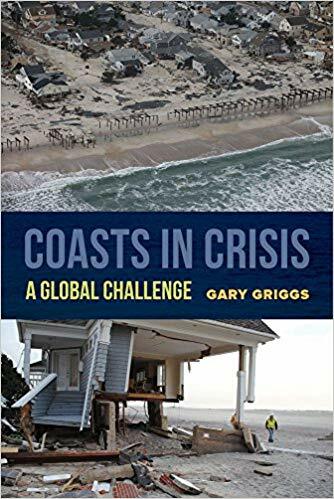 Coasts in Crisis: A Global Challenge by Gary Griggs. Coastal regions around the world have become increasingly crowded, intensively developed, and severely exploited. Hundreds of millions of people living in these low-lying areas are subject to short-term coastal hazards such as cyclones, hurricanes, and destruction due to El Niño, and are also exposed to the long-term threat of global sea-level rise. These massive concentrations of people expose often-fragile coastal environments to the runoff and pollution from municipal, industrial, and agricultural sources as well as the impacts of resource exploitation and a wide range of other human impacts. Can environmental impacts be reduced or mitigated and can coastal regions adapt to natural hazards? You can read a review in the journal Coastal Management: https://doi.org/10.1080/08920753.2018.1426378 (access available through our library). Climate Justice: Hope, Resilience, and the Fight for a Sustainable Future by Mary Robinson is an urgent call to arms by one of the most important voices in the international fight against climate change, sharing inspiring stories and offering vital lessons for the path forward. Holding her first grandchild in her arms in 2003, Mary Robinson was struck by the uncertainty of the world he had been born into. Before his fiftieth birthday, he would share the planet with more than nine billion people–people battling for food, water, and shelter in an increasingly volatile climate. The faceless, shadowy menace of climate change had become, in an instant, deeply personal. Mary Robinson’s mission would lead her all over the world, from Malawi to Mongolia, and to a heartening revelation: that an irrepressible driving force in the battle for climate justice could be found at the grassroots level, mainly among women, many of them mothers and grandmothers like herself. From Sharon Hanshaw, the Mississippi matriarch whose campaign began in her East Biloxi hair salon and culminated in her speaking at the United Nations, to Constance Okollet, a small farmer who transformed the fortunes of her ailing community in rural Uganda, Robinson met with ordinary people whose resilience and ingenuity had already unlocked extraordinary change. New York 2140 by Kim Stanley Robinson was nominated for the Hugo Award for Best Novel. As the sea levels rose, every street became a canal. Every skyscraper an island. For the residents of one apartment building in Madison Square, however, New York in the year 2140 is far from a drowned city. There is the market trader, who finds opportunities where others find trouble. There is the detective, whose work will never disappear – along with the lawyers, of course. There is the internet star, beloved by millions for her airship adventures, and the building’s manager, quietly respected for his attention to detail. Then there are two boys who don’t live there, but have no other home – and who are more important to its future than anyone might imagine. Lastly there are the coders, temporary residents on the roof, whose disappearance triggers a sequence of events that threatens the existence of all – and even the long-hidden foundations on which the city rests. You can read reviews here and here.